Please note the deadline for entries has passed and no further submissions will be accepted. 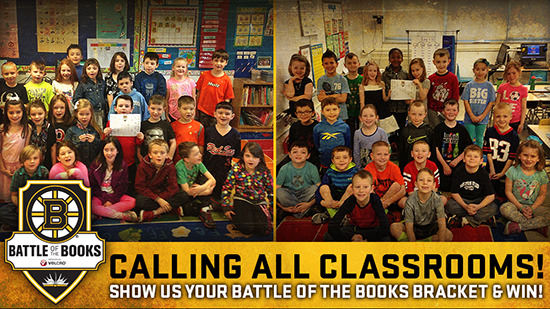 The Boston Bruins are teaming up with Velcro Companies to introduce the “Battle of the Books” competition. Classrooms in schools across New England will compete in a bracket-style competition, similar to the NHL Playoff brackets, to see which book will reign supreme. The Boston Bruins and Velcro Companies hope to encourage reading amongst kids of all ages through this fun and engaging competition featuring Bruins-themed and VELCRO® Brand prizes. Each participating classroom will select sixteen books to start their bracket then select their favorite books to advance to the next round and eventually name a “Battle of the Books” winner. 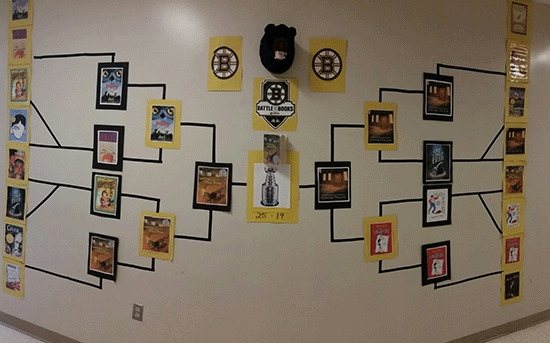 Boston Bruins players nominated their favorite books to give classrooms a few ideas to start their bracket. Patrice Bergeron suggests “Unbroken: A World War II Story of Survival, Resilience, and Redemption” by Laura Hillenbrand, Brad Marchand’s pick is “The Amazing Spiderman” by Frank Berrios and Bruins Captain Zdeno Chara recommends “An Astronaut’s Guide to Life on Earth” by Col. Chris Hadfield. A full list of the Bruins recommended books can be found at BostonBruins.com/Battleofthebooks. 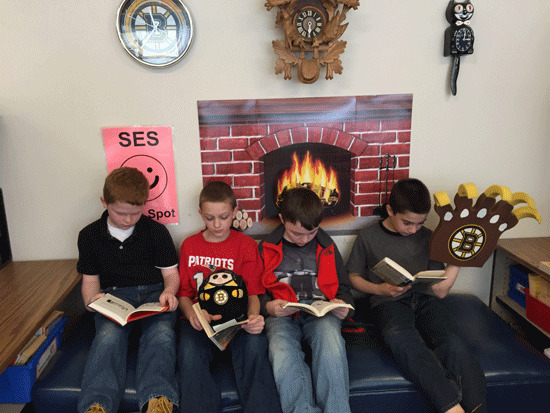 The Bruins will provide weekly Bruins-themed prizes for select participating classrooms, winners will be selected based on photo submissions of “Battle of the Books” participation. 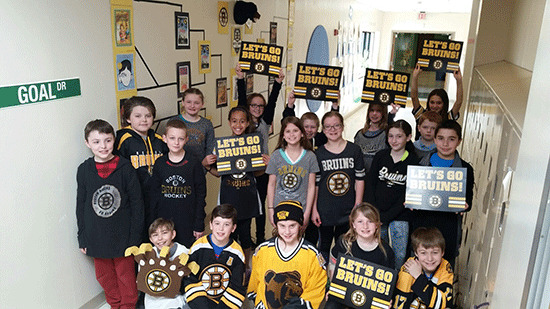 At the end of the competition, the school with the most classrooms registered will win a Boston Bruins Spirit Day featuring Bruins mascot Blades. Three classrooms will also be chosen for Grand Prizes and a classroom supply of VELCRO® Brand products provided by Velcro Companies. All school classrooms are eligible to participate. Please visit BostonBruins.com/Battleofthebooks for more information.